You may have attended an 8 week course and simply want an opportunity to practice with the support of a group. Or you simply can't commit to an 8 week course but you are interested in finding ways to live mindfully. 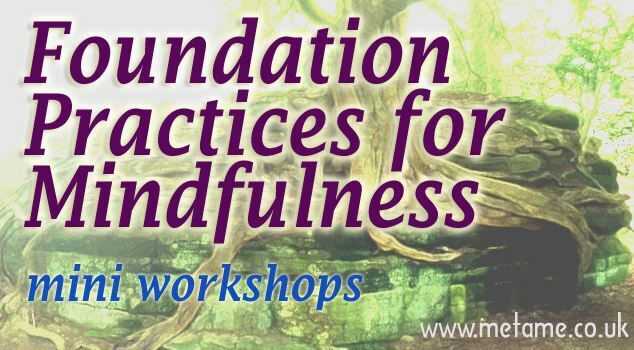 This provides an alternative learning about the principles of Mindfulness, experiencing meditation practices and exploring how you might adopt simple mindful habits for everyday. Groups are small and each class is structured using a theme, with some flexibility to change according to the needs in the moment. There is time for discussion and reflection but any sharing is invitational. Sources of material come from a range of different teachers and my own experiences and learnings from different schools., including my teaching from the 8 week course. Meditation practices are varied and the movement meditation is based on the Feldenkrais approach or Qigong. Further dates will be arranged throughout the year so keep checking for the new timing.